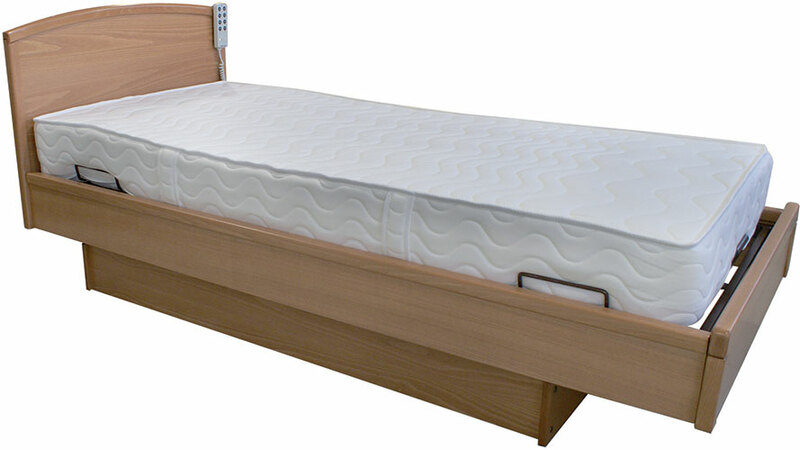 The Adjustable height is perfect for getting out of bed because the bed rises up to hip level. Moreover, the mattress platform is reinforced at the buttocks area and requires less effort when getting out of bed. Likewise, the bed can be raised to one's preferred height to get into bed. You will not have to bend down anymore to make the bed: changing the sheets is easy when the bed is raised to chest level. Single relaxation bed with variable height. 5 widths available: 90, 110, 120, 140 and 160 cm. 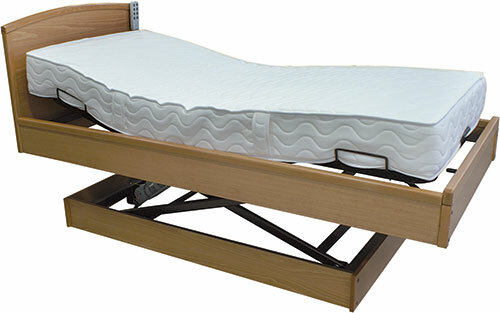 Box spring (without wood slats), electrically operated back rest, electronic footrest with knee-break, chassis on adjustable glides. Head and footboards in all-wooden beech.